Looking for a spacious home near Springhurst shopping with a fully fenced yard? If so then you'll love our new listing at 5022 Oakbrook Drive, Louisville KY 40245 with 3 Bedrooms, 2 Bathrooms, and a fully fenced level yard! The home is positioned on a quiet street in Oakhurst and includes a great deck and yard as well as a two car attached garage. Enter into an open Great Room with lovely hardwood flooring, stone fire place, and vaulted ceiling. Hardwood flooring continues into the Eat In Kitchen with lots of counter space and natural light. A Full Bath, Laundry, and Bedroom complete the first floor of the home. The second floor includes a large Master Bedroom with two closets, another bedroom, Full Bath, and Bonus Room! The Bonus room would make a fantastic play area or office space. 5022 Oakbrook Drive, Louisville KY 40245 offers the perfect location, neutral decor, and spacious interior. Call one of our qualified Realtors in Louisville KY today to set up your private showing. Visit the property link above for pricing information and additional property details. Its hard to believe its almost August! Soon it will be time again for the Kentucky State Fair which runs August 15th-25th! The fair is always a fun summer event for families. Tickets to the State Fair are $8 in advance or $10 at the gate for Adults and $6 for children and seniors. The fairgrounds are open from 7am-midnight (10pm for exhibits) and parking is $8 a vehicle. The fair offers everything from livestock, arts and crafts, produce, horse shows, and rides to experience. And of course there is also tons and tons of tempting food to break your diet. One of the best things about the KY State Fair are the various concerts available. Many of them are free! Below is a list of the free concerts offered this year. There are also a variety of paid concerts this year including performers like Alan Jackson, Gary Allan, The Wanted Carly Rae Jepsen, Toby Keith, Duck Dynasty, and Jeff Dunham. Take the opportunity for a fun day or night this August and check out the KY State Fair! For more information about Louisville KY area events contact one of our Realtors In Louisville KY and we will be glad to tell you more about the community! Is your home listed but receiving few or no showings? If your home is listed, but not being shown – is your list price too high, OR could it be something else? Before automatically throwing your hands up and feeling like you have no choice but to lower your home price, take a moment to analyze your current listing presence. In today’s “digital age”, nearly all consumers start the process of shopping for their next home on the internet. If a seller’s home does not have great internet presence or does not show well online, the home will likely sit until the seller changes those very critical requirements OR until the seller lowers the price BELOW market value in order to entice a buyer to look at the home only because “it’s a deal”. 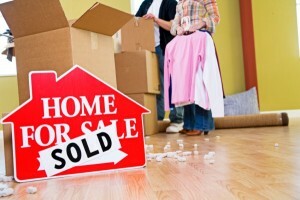 A typical buyer “shops” online by searching homes and avidly viewing photos. If the home shows poorly online, the home will likely be eliminated from their “list” of homes to make appointments to see. So how can you ensure your home will show well online and be on a buyer's viewing list? 1) Staging: The importance of having a home professionally staged is critical. A staging service will help the seller eliminate clutter, add touches of warmth to a room, rearrange furniture to maximize space, and make recommendations that will ultimately give a great first impression for the buyer– both online as well as in person. A great stager will have an eye for staging a home with photos as the main end product. 2) Photography: A professional real estate photographer is recommended. A photographer who is accustomed to photographing real estate will have a critical eye for detail that will best showcase each room of the home as well as maximize natural light or add light where needed. 3) Realtor: Lastly, a seller should list their home with a proven Listing Specialist who has the resources to ensure the listing is reaching all of the online sites that are critical for ultimate success. If a home is staged properly, great photos are taken, maximum exposure online is achieved and the home still isn’t selling, then the homeowner can truly summarize that the asking price for the home is too high. To learn more about Selling a Home In Louisvile KY or to learn what your home is currently worth, contact one of our qualified Realtors in Louisville KY today. Neighborhood Open House in Timberbend Subdivision! Join At Home In Louisville Real Estate Group this Sunday 7/21 for a neighborhood open house in the Timberbend subdivision! An Agent from our team will be holding 6619 Timberbend Dr, Louisville, KY 40229 open and will be joined by two other houses in the subdivision. Stop by and take a look at these three great homes currently for sale in the Louisville Real Estate market! 6310 Limewood Circle will be open this Sunday and next Sunday July 21st and July 28th from 2-4pm. Please join us to view this great 3 Bed, 3 Bath Ranch with large back yard. Contact a member of At Home In Louisville Real Estate Group for more information about this property and other homes in Louisville. Tonight CenterStage at the Jewish Community Center in Louisville KY opens its 2013-2014 Season. The season is kicking off with a bang and a bubbly laugh with Legally Blonde: The Musical which runs from July 11th-21st! If you're looking for a fun summer night out- this is it! The story is from the novel Legally Blonde as well as the film which starred Reese Witherspoon. The storyline follows lead character Elle Woods, a ditsy but endearing sorority girl, who earns a law degree to win back her ex. The show is loaded with catchy songs and smiles and is sure to provide a fun night out. CenterStage has an awesome season lined up this year including Legally Blonde, A New Brain, Les Miserables, Best Little Whorehouse in Texas, Wit, The Color Purple, and The Sound of Music. Individual show tickets run $20 at the door or $18 in advance. Rush tickets are also available for evening performances on Sunday, Monday, or Thursday for $10 a ticket. Season tickets are $98 for the entire 7 show season or $80 for a pick 5. For more information about events in the Louisville area or Louisville Real Estate, contact a member of our team today! 4615 Wolfspring Drive Louisville KY 40241 is a beautiful four bedroom home in sought after Wolfcreek. The landscaped entryway leads to a front foyer with sparkling hardwood flooring that flows throughout most of the first floor. The Formal Dining Room is a lovely spot to gather wtih crown molding, hardwood flooring, and tray ceiling. The Kitchen is perfect for the cook in your family offering granite counter tops, plentiful cabinetry, tile backsplash, and kitchen island! The kitchen is also accented by recessed lighting, hardwood flooring, and a built in desk. The dining area in the kitchen provides a nice view of the back yard. 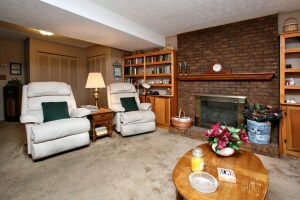 The Living Room is comfortable with crown molding and opens to the Family Room with floor to ceiling brick fireplace. A pretty half bath and Laundry Room complete the first floor of the home. The Master Bedroom is a relaxing retreat with tray ceiling, huge walk-in closet, Sitting Room, and Master Bath with jacuzzi tub and double vanity! 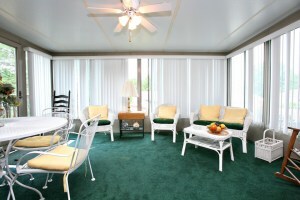 There are also three other good sized bedrooms and a Full Bath with shower, skylight, and double vanity. 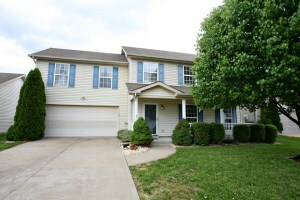 4615 Wolfspring Drive Louisville KY 40241 has a fully finished Basement with another Family Room, office, and Full Bath. The Basement Family Room is complete wtih recessed lighting and built in entertainment unit. The back yard is peaceful with a nice grassy area and partially covered deck. Residents of Wolfcreek will also love utilizing the neighborhood tennis court, clubhouse, and pool! Visit the property link above for pricing information. Contact a member of our team to set up private showings of this home or to receive updates about the Louisville Real Estate market. 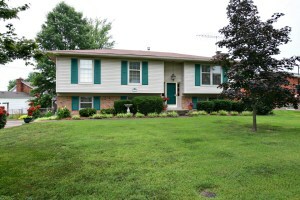 8420 Acme Way, Louisville, KY 40219 is a spacious bi-level home in Louisville. The home features a great back yard, 3 Bedrooms, and 2 Full Bathrooms. The Living Room is welcoming with plenty of natural light and a dining area that exits to a cheery enclosed porch. The Kitchen connects to the living room dining area and offers plenty of cabinet space. The hallway leading to the bedrooms has nice hardwood flooring. The Master Bedroom is good sized with separate access to the first floor Full Bath. The first floor also includes two pleasant secondary bedrooms. The lower level of the home is complete with a Full Bath, Laundry, and Family Room with floor to ceiling brick fireplace. The back yard is lovely and fully fenced with a nice deck and storage shed. The home has been lovingly cared for and is positioned in a desirable area of town with easy access to shopping and dining. Visit the 8420 Acme Way, Louisville, KY 40219 property link for pricing information or call a member of At Home In Louisville Real Estate Group for additional information about this home. 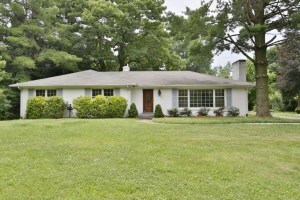 414 Cornell Place, Louisville, KY 40207 is a fantastic 3 Bedroom, 2 Bath Cape Cod in the heart of St. Matthews! You will absolutely fall in love with this stylish home and the easy walk to your favorite shops and restaurants as well as nearby Seneca Park! A welcoming front porch opens to a Living Room with hardwood flooring, fireplace with gas logs, and neutral decor. Hardwood flooring continues throughout the hallway, formal dining room, and bedrooms. The Formal Dining Room showcases decorative chandelier and crown molding. The tiled Kitchen includes stainless appliances, breakfast bar, and great counter and cabinet space! Two 1st floor bedrooms are convenient to a Full Bath. The second floor is devoted solely to the Master Suite with a nice 2nd floor landing for a reading nook, recessed lighting in the bedroom, and a Master Bath with pedestal sink and shower. There is a full unfinished basement with a Laundry and an area for storage or future expansion. New owners will love the fully fenced back yard and deck. 414 Cornell Place, Louisville, KY 40207 has a one car detached garage and numerous updates within including replacement windows (2008), refinished hardwood floors (2008), fresh paint throughout, new appliances (2011), and newly poured driveway (2012)! You will not want to miss this beautiful home. Call today and one of our Realtors in Louisville KY will be glad to give additional information or set up a private showing! R. Clayton Knauer brings innovation and an unrivaled attention to detail to his position as Lead Buyer Agent at Keller Williams. Clayton provided top notch organizational skills in coordinating the purchase of my house, which allowed me to concentrate on the high level decisions that were at times quite stressful for a first-time home-buyer. Clayton helped me focus and make the most efficient use of my time and resources. I purchased my home in early 2009, just months after the onset of the recent financial crisis, and his expertise proved invaluable as he guided me through a financing option that allowed me to both purchase a property and renovate it to best meet my needs. I could not have been more happy with the service and the result Clayton provided and I whole-heartedly recommend him.